Tots and Teens Eye Care, Louisiana LLC, recently visited R. J. Vial Elementary to provide “on-site” vision and eye health examinations to students. 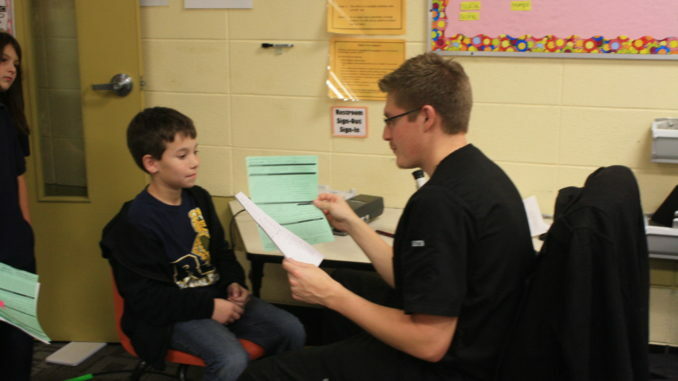 During their visit at R. J. Vial, Tots and Teens Eye Care conducted 43 student eye exams. Tots & Teens Eye Care is comprised of a team of six members, which includes a board certified ophthalmologist and trained technicians. If a child needs glasses, they are measured and fit with frames of their choice on that day. The glasses are provided and delivered to the school to ensure a proper fit.